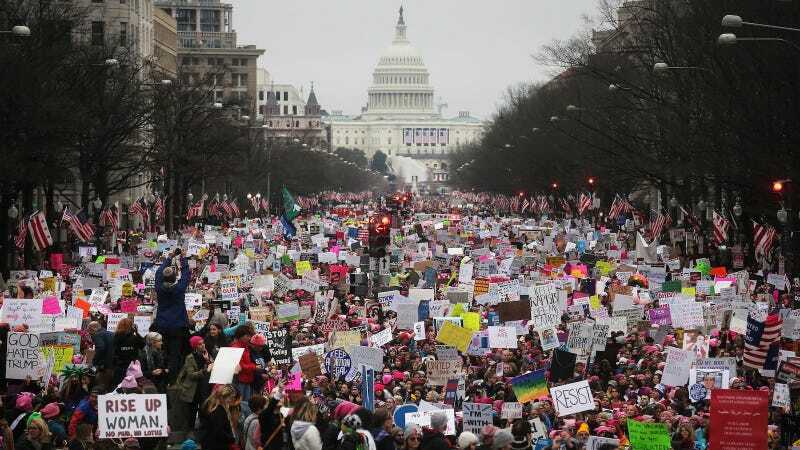 On Monday, the organizers behind the Women’s March announced the Women’s Convention, which will take place on October 27-29 in Detroit, Michigan in preparation for the 2018 midterm elections. ​The Women’s Convention will bring thousands of women, femmes and our allies of all backgrounds to Detroit from October 27 - 29, 2017, for a weekend of workshops, strategy sessions, inspiring forums and intersectional movement building to continue the preparation going into the 2018 midterm elections. Detroit is a beautiful city, full of historical and political significance, and a multitude of lived experiences — a perfect setting for women, femmes and our allies seeking to strengthen our growing, intersectional movement. Many of the issues that led us to march in January 2017 are starkly visible in Detroit and its surrounding areas: economic inequality, environmental injustice, de facto segregation, ICE raids, violent policing, and overall unequal access and opportunity. At the same time, Detroit is home to a rich musical history, a vibrant art scene and a long and radical history of grassroots activism — something that continues today. Just like our movement, Detroit cannot be compartmentalized. It is important and valuable to learn from and alongside local organizations, advocates and citizens within this city while we build and nurture our movement on a national and local level. The Convention was organized before the events in Charlottesville took place, USA Today reports, but Bland invoked the memory of Heather Heyer, the progressive activist killed on Saturday, to underline the importance of taking next steps to combat not just the policies of the current administration but white supremacist ideology on a broader scale.